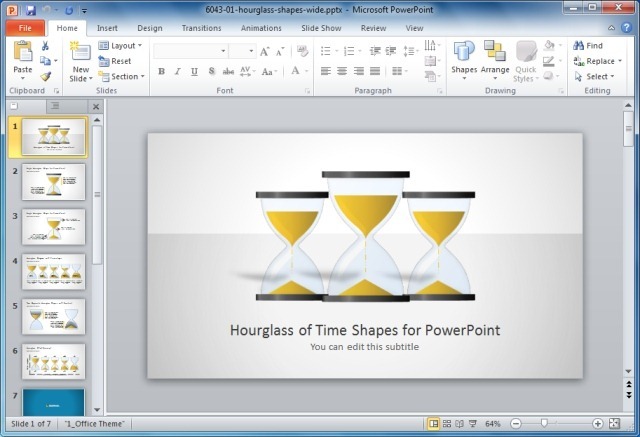 Tired of the same old dull PowerPoint backgrounds? It’s time to try something cool. 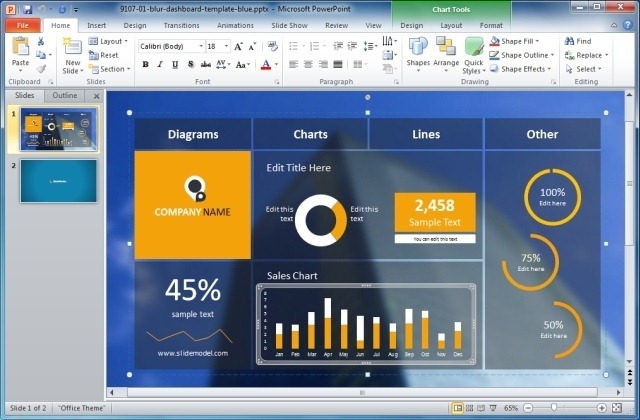 Let’s take a look at some really Cool PowerPoint Templates. 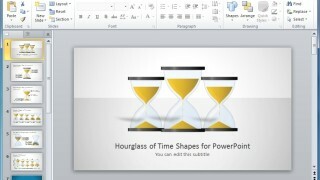 Perfect for making timelines, this is a cool PowerPoint template with a unique design, with sample slides depicting an hourglass. These slides can be used to signify time, planning, goals and other similar topics. This is another cool template with sample slides depicting a dice. The editable slides in this template come with different layouts and can be used for making anything from a picture slide, timeline, sequential slide or a generic slide with text and images. Cool designs are best used for business presentations, as they can be dull and forgettable unless you can grab the attention of your audience. 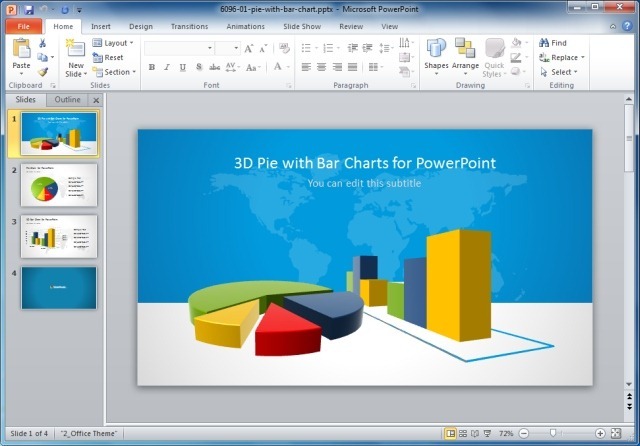 The 3D Pie And Bar Chart PowerPoint Template provides charts with a visually appealing design to help you present the most boring stats with a cool layout. To make your presentation interesting, it is best to use some outside the box ideas. 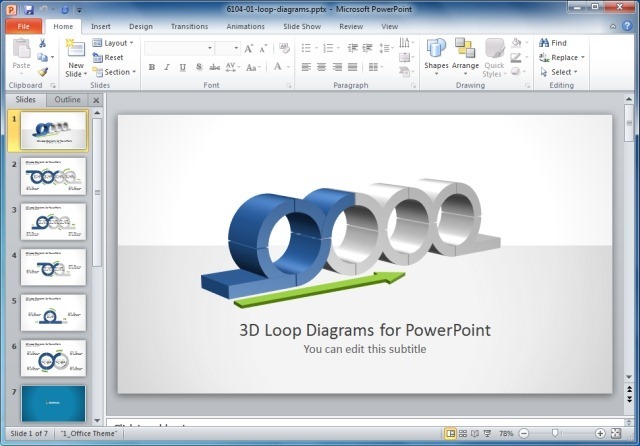 The 3D Loop Diagrams Template For PowerPoint with its exceptional design and novel layout provides a good mechanism for making presentations that can help you keep your audience engaged with some nice 3D shapes. 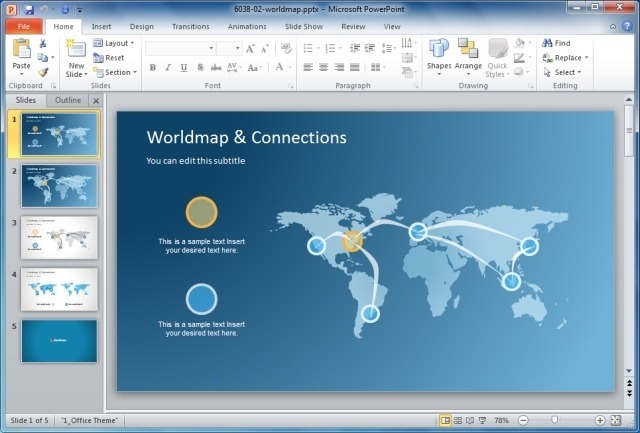 These shapes are generic in nature and you can customize the slides to make the shapes represent your ideas with ease. Making a professional diagram isn’t easy. Even with the relevant applications it can take ages to perform even minor changes to a diagram for a SWOT Analysis or a Demand and Supply Curve. 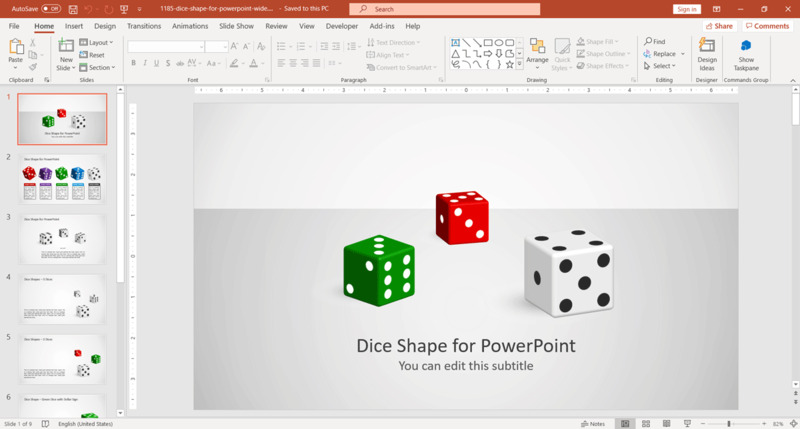 With the help of our Cool Data And Chart Templates For PowerPoint making diagrams and curves is a snap. A good map template can help you display geographical information about your topic effectively; be it branches of a business, global impact of a policy or infographics about a topic. 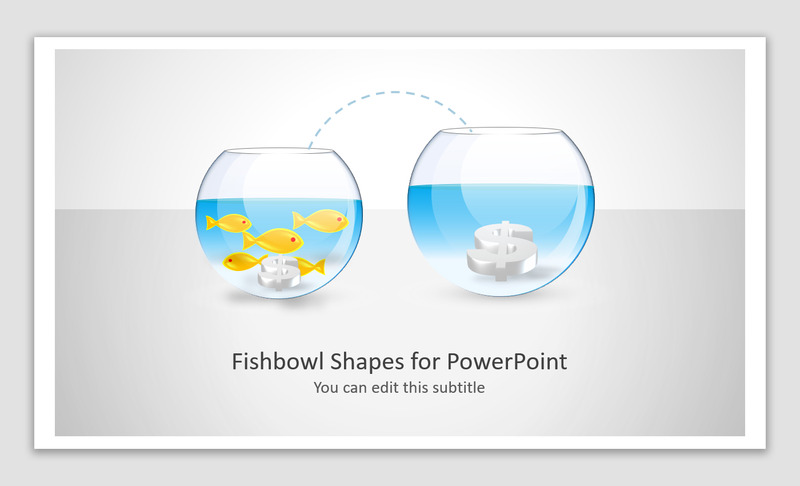 Fishbowls, diagrams, dices, funnels and many other cool PowerPoint Templates with diverse themes can be found in our collection of Cool templates. You can check out our collection of templates with cool shapes and designs from the link given below. Tags: Analysis Templates, Business Plan Template, Business PowerPoint Templates, Chart Templates, Cool PowerPoint Templates, Cool Shapes, Funnel Analysis PowerPoint Template, Map Templates, Maps, PowerPoint Shapes, Project Planning, Templates, Timelines.